POST TENEBRAS LUX (“light after darkness”), ostensibly the story of an upscale, urban family whose move to the Mexican countryside results in domestic crises and class friction, is a stunningly photographed, impressionistic psychological portrait of a family and their place within the sublime, unforgiving natural world. Carlos Reygadas conjures a host of unforgettable, ominous images: a haunting sequence at dusk as Reygadas’s real-life daughter wanders a muddy field and farm animals loudly circle and thunder and lightning threaten; a glowing-red demon gliding through the rooms of a home; a husband and wife visiting a swingers’ bathhouse with rooms named after famous philosophers. 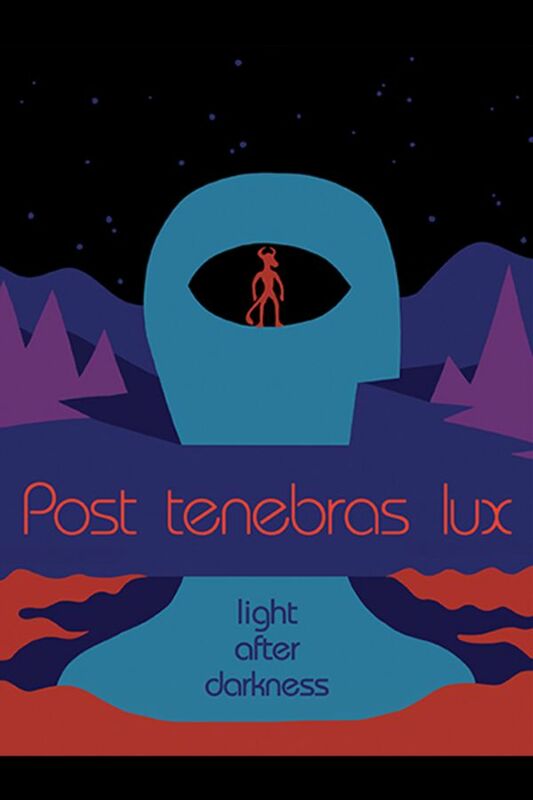 By turns entrancing and mystifying, POST TENEBRAS LUX palpably explores the primal conflicts of the human condition. Starring Adolfo Jiménez Castro, Nathalia Acevedo and Willebaldo Torres. I feel I've been had. But in a good way. Very arty for the first few minutes & then a man appears to bash a live dog's head repeatedly against the ground. Couldn't tell you if the rest is any good. A great movie for somebody, I'm sure.